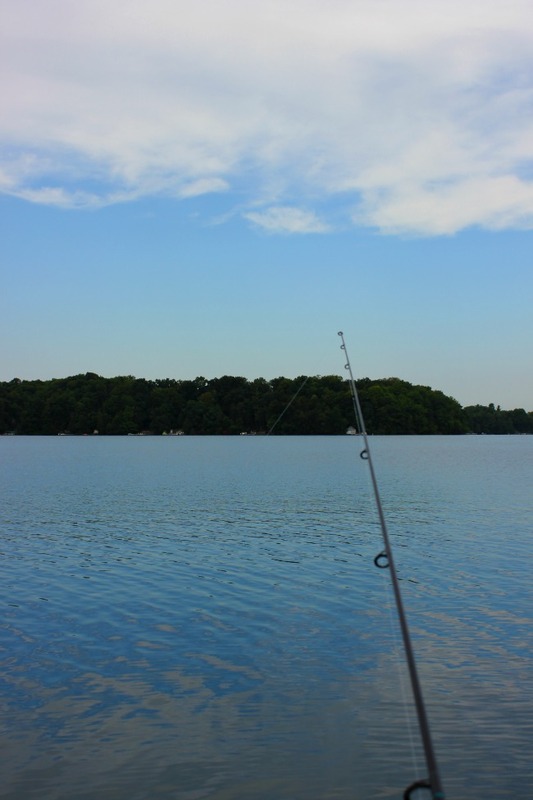 Although I’m a fan on being in the water, sometimes its ok to be on the water, as I recently learned in Elkhart Lake. In my continuing effort to learn and try new things while travelling, I decided to try fishing. My fish tale – for another day – but my initial impression was meditative. I realized why all those people haul themselves out of bed early to sit in a boat on the lake – yes to try and catch fish, and yes to being able to just contemplate. It’s one of the unspoken rules of the fishing boat – to relax and focus on your line – and not to talk too much. It’s not that you’re not allowed to chat, but it seems to be part of the code to sit and be silent. And its a good exercise in observation – I noticed the lack of bugs, the clear water of the lake, the lack of activity and as the sun raised itself higher in the sky, the sounds of distant chatter and eventually seeing another boat with someone fishing. I realized fishing was as much an activity as an escape – and although the desire to catch a fish was strong, it was just as important to be out on the lake, without too much distraction. Now I understood why many people found it boring – but I also understood why for many it was the ultimate way to start the day.